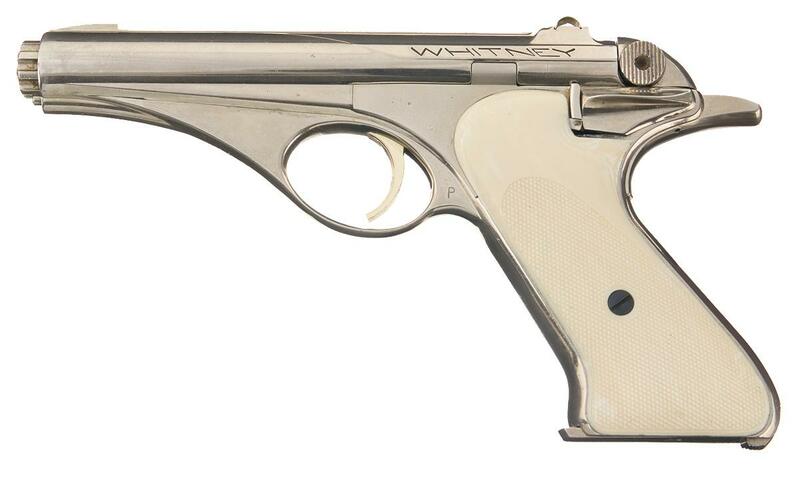 The Whitney Wolverine was produced from 1956-1958. They only made about 15,000 of them. According to the company, only 500 were nickel-plated like this one. It looks amazing. It’s a single action .22 LR. They originally cost $40 and $45, respectively. Today — if you can even find one — the non-nickel ones go for $1,000 at auction. Olympic Arms made did a revival of the gun several years ago, but the design lost its elegance in my opinion.